"You won't make memories sitting on the couch"
Hi there, I am Stuart! I started fishing when I was six with my dad in the sea for flounders which soon led onto fishing a little burn behind our house for trout. We used worms, sometimes with a little float until I heard about a fly tying class in my local school. That was 22 years ago and I have been tying a few times a week since then. I now tie flies for everything and have fished in 13 countries around the world. I tie flies from size 28 micro nymphs for spooky trout and grayling right up to 10/0 for sharks. In the last 6 years I have been targeting large river browns, pike, and pollock on the fly and grayling throughout the winter. I mainly target pike in Highland lochs from a float tube and big river trout with streamers. I have tied at a few game fairs and shows over the years and help out at a fly tying club in the winter doing demos and teaching. 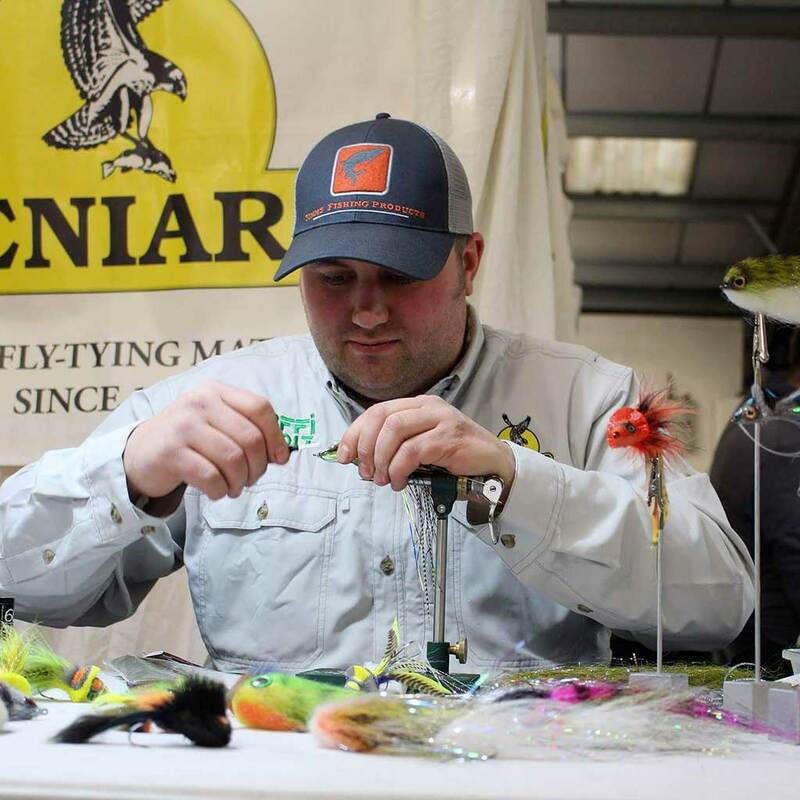 I really enjoy doing this and hope to do more because it is a great opportunity to meet other tiers and learn new styles of tying and hopefully pass on some of my experience to others and gain new ideas. About 18 months ago I was asked to be apart of Deer Creek which has been a fantastic opportunity. I am truly honored to be apart of the Wild Society Ambassador great family! Technical tips, secrets, and practical demonstrations for those who are fly-fishing addicted!